Despite the film ever-so-slightly under-delivering, Madras Café’ makes the list because it marks a big step forward for Hindi films; a great victory that it got made at all. A politically astute mainstream film spanning the years from 1987-1991, with established actors, no songs, and uncompromised detailing; it is the fictionalized account of events leading up to the assassination of Rajiv Gandhi. For director Shoojit Sircar to go the distance in a pre-determined finale with no silver lining is a brave, applause-worthy move on its own. We need to see more examples of such courage in Bollywood. Arguably the best mainstream romance of the year – the kind of film others in the genre should aspire to – Raanjhanaa flows like good poetry. The excellent writing radiates to masterful direction. Anand L Rai’s characters are all feisty and move with purpose, even when they have none. This is an incredible, refreshing reading and extension and twist to the Brahmin boy, Muslim girl Bollywood conundrum; handled with maturity and grace. It is impossible to tear your eyes off the screen as the two lovers work their magic and Rai peppers his scenes with just the right amounts of humor, and hat tips cinema, people, and cultural idiosyncrasies. Few words are as impactful than “Based on a true story” before a film starts. Automatically the next couple of hours become consequential. The more unbelievable the narrative, the more thrilling it is. And Shahid is an important story to tell. Director Hansal Mehta has done a remarkable job chronicling the true tale of slain advocate Shahid Azmi and bringing it to the mainstream. It goes well beyond being a fierce biopic, a purposeful indie, or just a riveting drama that’s impossible to dislike. Reflecting the intention of its protagonist, Shahid, sharing a hallmark with all significant films, ultimately makes a statement. A blind photographer, a dying monk, and a stockbroker who develops a sudden conscience form the triumvirate of protagonists whose stories Ship of Theseus enthralls us with. Three stories connected in time and space and beyond, SoT is as much philosophy and a deeply layered opus of meaning as it is a gusty narrative that you can skim with. Director Anand Gandhi’s film is ambitious in scope and despite its indie roots, is a well-crafted polished piece of cinema that delivers. Beyond that, it marks a watershed moment for Indian indie cinema. 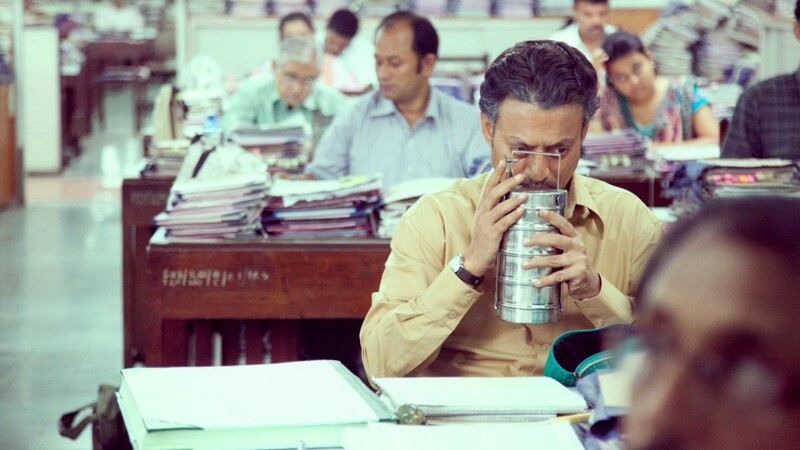 One of the best films to come out of India in a long time, director Ritesh Batra’s little masterpiece, The Lunchbox, is the story of Ila who is stuck in a loveless marriage and Saajan Fernandes, a loner on the cusp of retiring. Original yet simple, humorous yet devastating all at once; the film evokes a common sentiment in filmmakers and storytellers: “I wish I’d thought of that first.” Batra’s direction is impeccable and the final cut goes well beyond the screenplay. Tension builds, humor edges in, and drama unfolds in restrained measures. There isn’t a single aspect you could change to better the experience.